Since 2015 Món Orxata is also available in bottle for sale in small family businesses. 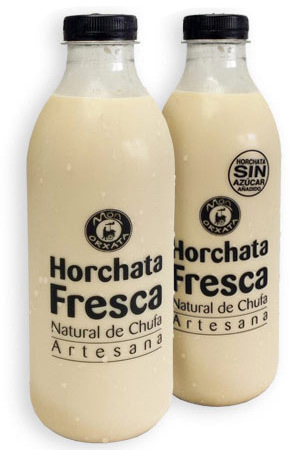 This is the same natural horchata we offer in the carts but absolutely pioneer in this innovative format in Valencia and Castellon capital Alicante launched in 2014 by our sister company “Carroxata”. If you are a small business in the provinces of Castellon and Valencia, and are interested, do not wait, contact us!